Great space inside and out. 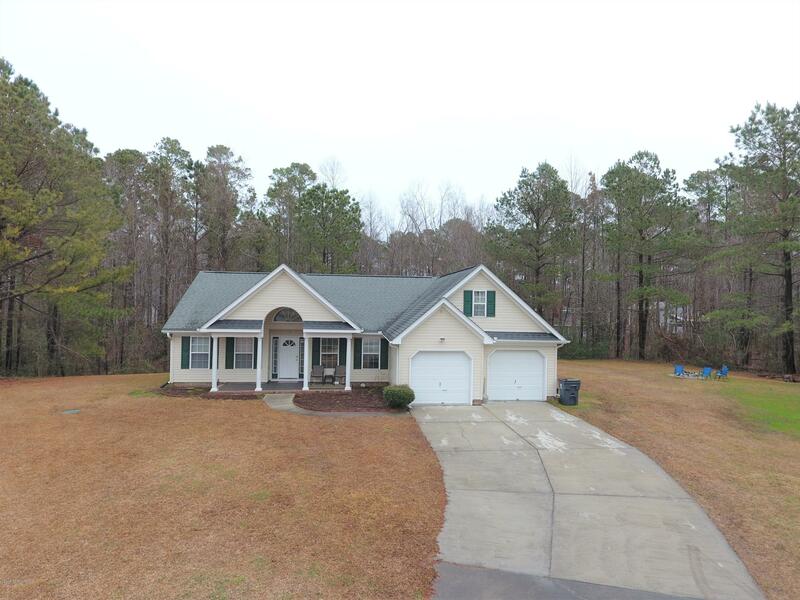 Conveniently located in Green Trees off Old Cherry Point Road on a cul-de-sac lot with private back yard. Open living room dining kitchen concept. Brand new engineered hardwood floors. New carpet, fresh paint in all the bedrooms. Extra living space in the FROG. 3 bedrooms, 2 full baths. Outside you a have a deck, patio and outside storage. No city taxes out here and still convenient to New Bern and Havelock.